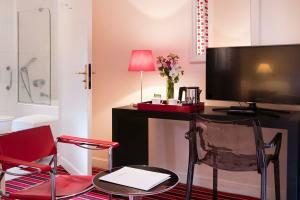 Set in the chic 8th district in central Paris, this 4-star hotel offers stylish guest rooms. 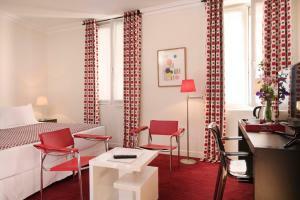 It is located just 200 metres from the Madeleine Church. 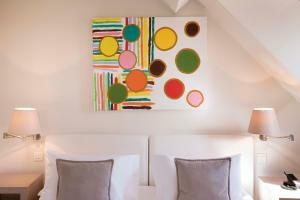 Each individually decorated room is equipped with satellite TV and free Wi-Fi access. 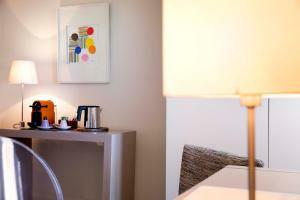 All are soundproofed and include a minibar and tea and coffee making facilities. 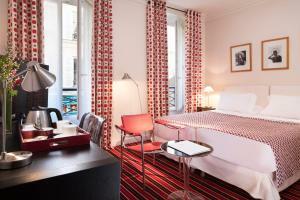 The top floor of hotel Vignon is designed like a Parisian apartment. A continental breakfast is available every morning with a surcharge. Guests can enjoy afternoon tea in the lounge at hotel Vignon. Free internet access is available on the computer in the lobby. Room service is available upon request. Havre-Caumartin Metro Station, 350 metres away, provides access to the Champs Elysées. 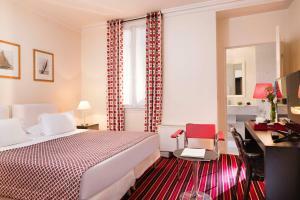 Please note that an extra bed can only be added in the Superior Rooms. Breakfast is served daily from 07:00 am to 10:30. This air-conditioned room is equipped with satellite TV. This room cannot accommodate any extra beds/baby cots. 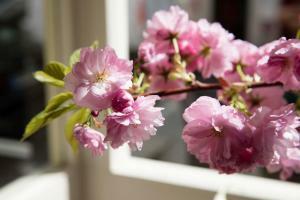 Rate: € 139.40 ... € 356.00; select dates below to get current rates. This spacious room features a flat-screen TV. An extra bed for a child under 12 years can be requested in this room at reservation, subject to availability. 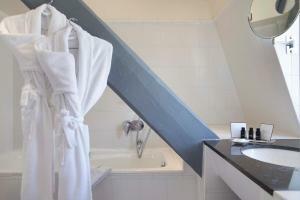 Located on the 6th floor, this double room offers views of the Paris rooftops, sloped ceilings and a private bathroom.